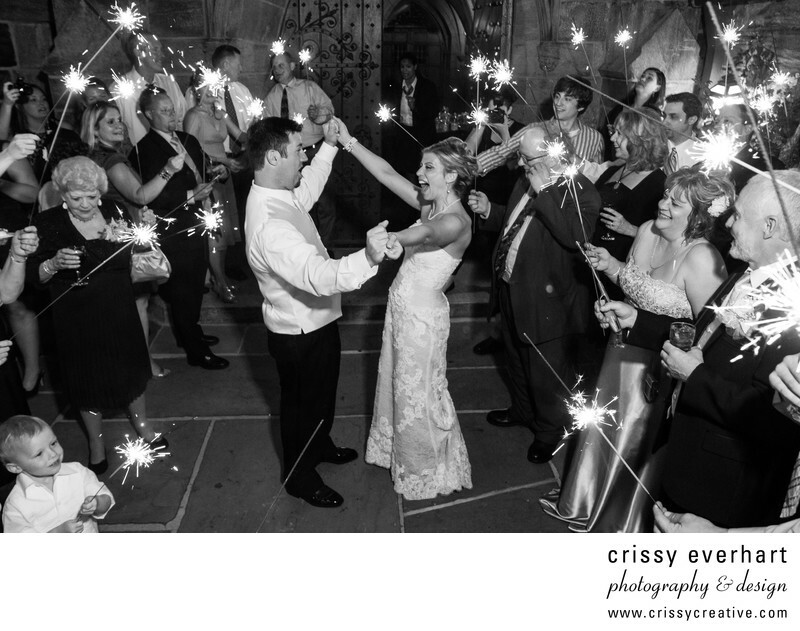 This sparkler send off at this Merion Tribute House wedding was perfect! The bride and groom came out and excitedly grabbed each other's hands and threw them in the air as friends and family wave lit sparklers. Location: 625 Hazelhurst Ave, Merion Station, PA 19066.